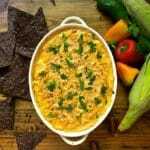 With a name like Easy Cheesy Hot Corn Dip, you would think that this delicious dip would be full of yummy corn and cheesy goodness, and you would be right! 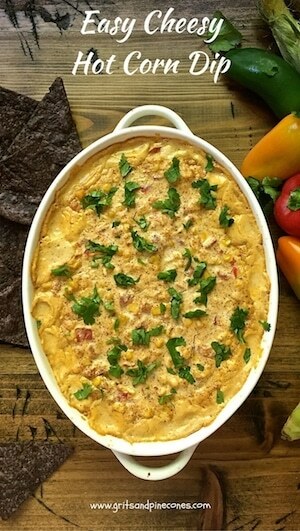 And, with a name like Easy Cheesy Hot Corn Dip, you would think that this southwestern inspired dip would be easy to prepare and perfect to serve at a Cinco de Mayo party or any get-together, and you would be right about that too! 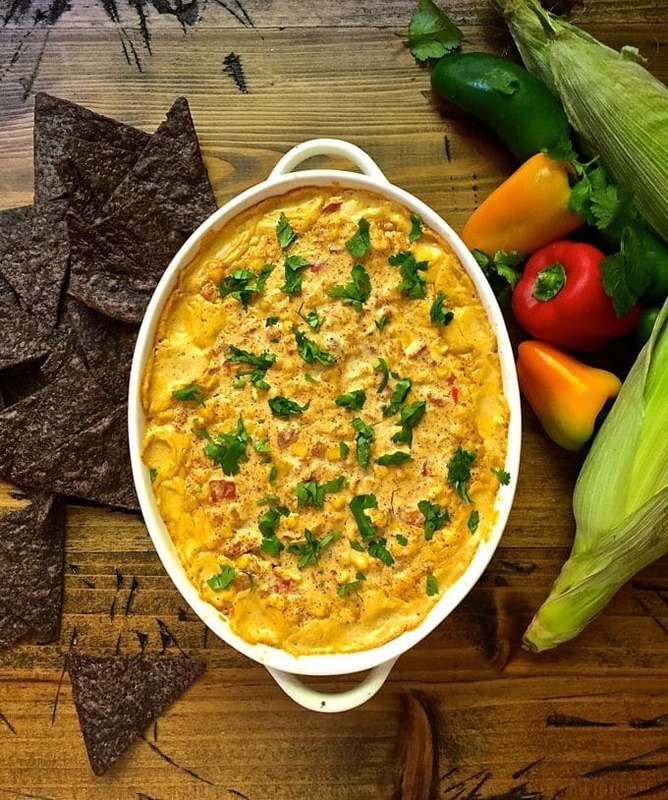 And, when I tell you that Easy Cheesy Hot Corn Dip only takes about 5 minutes to throw together and it may very well be one of the best and most delicious dips you have ever tasted, you will have to trust that I am right, and I wouldn’t lead you astray! So, if I have convinced you that Easy Cheese Hot Corn Dip is something you just have to try, let me give you the list of ingredients you will need: a can of corn (you can substitute fresh or frozen), a can of diced tomatoes and green chilies (Rotel), cream cheese, sour cream, shredded Monterey Jack cheese, chili powder, ground cumin, garlic powder, and Kosher salt. Optional, you also might want some cilantro for a garnish. And, of course, you will want some great chips or veggies to scoop it up. If you are looking for other great Cinco de Mayo recipes, you might also want to check out my post 31 Cinco de Mayo Recipes That You Will Love! From tacos to margaritas and everything in between, these 31 super-easy 5-star rated Mexican recipes are perfect for your Cinco de Mayo celebration! 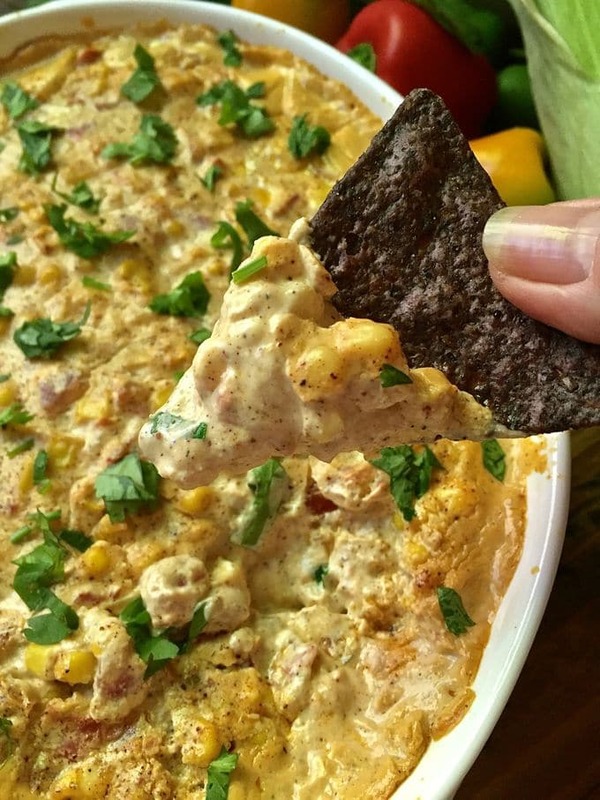 When you are ready to prepare this delicious dip, gather your ingredients and preheat oven to 350 degrees F.
Add corn, diced tomatoes and green chilies, cream cheese, sour cream, 3/4 cup Monterey Jack cheese, chili powder, garlic powder, cumin and salt to a medium size bowl. Pour the corn mixture into a small baking dish which has been sprayed with non-stick cooking spray and bake for 30 minutes or until it is hot and bubbly. Garnish with chopped cilantro and serve hot with chips or veggies. 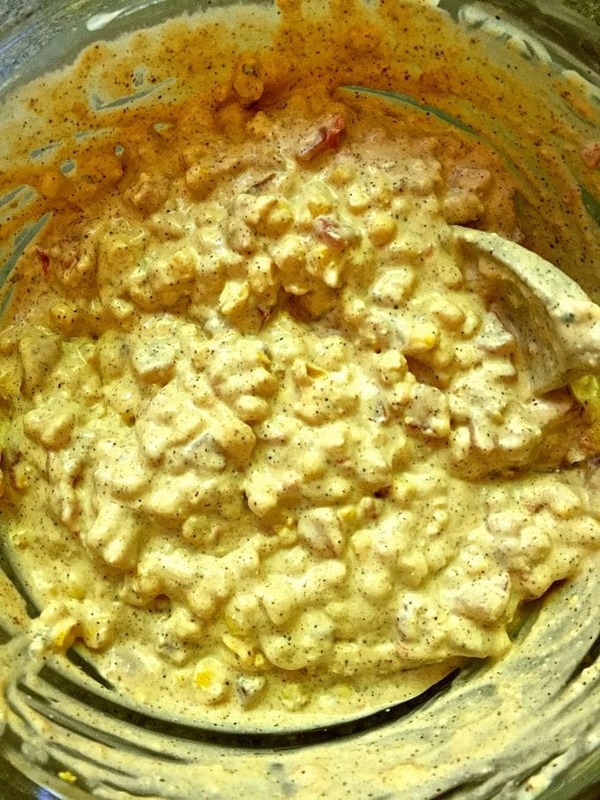 Add, corn, diced tomatoes and green chilies, cream cheese, sour cream, 3/4 cup Monterey Jack cheese, chili powder, garlic powder, cumin and salt to a medium size bowl and mix well. 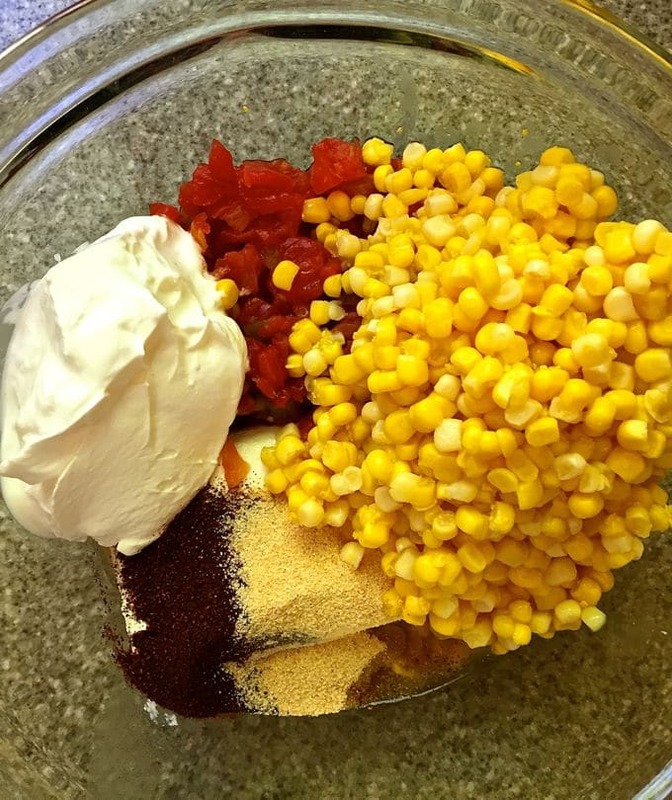 Pour the corn mixture into a small baking dish which has been sprayed with non-stick cooking spray. Top with the remaining cheese and bake for 30 minutes or until the dip is hot and bubbly. 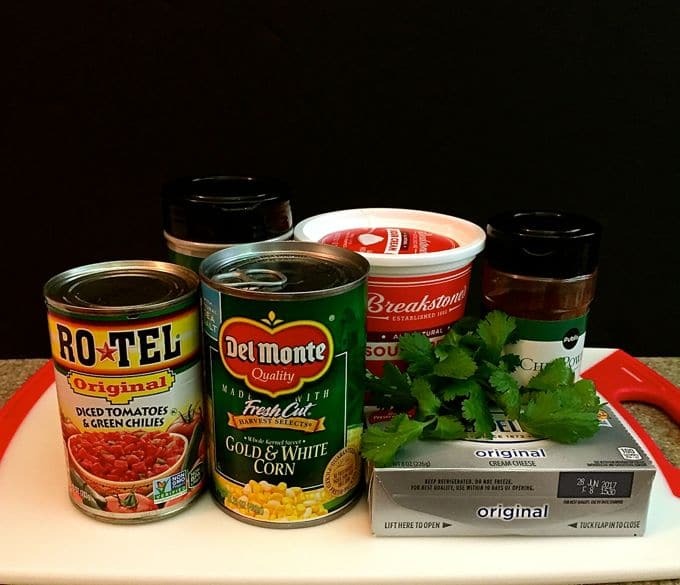 *You can substitute frozen or fresh corn for the canned corn. Thanks so much Kelly! If you like spice, you might want to ramp up the chili powder a bit!